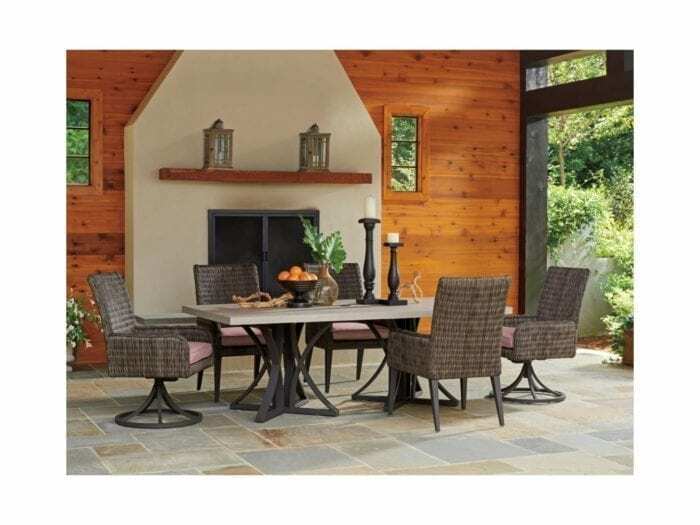 Enjoy outdoor dining for six with your choice of stationary or swivel rocker chairs around this rectangular table. The weatherstone top has the look of honed limestone, with exceptional durability. 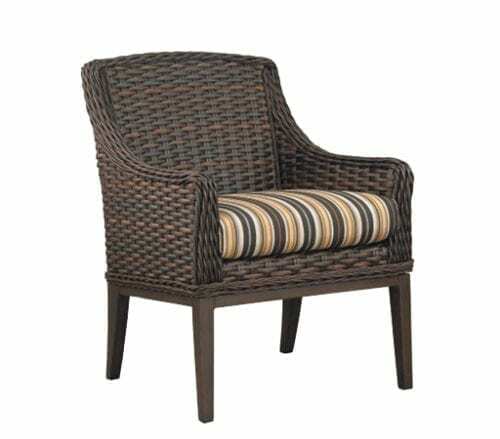 Note the center Tommy Bahama monogram can be removed to insert the umbrella and the base is designed to accommodate the stand below. The double pedestal aluminum base is a custom aged iron finish. 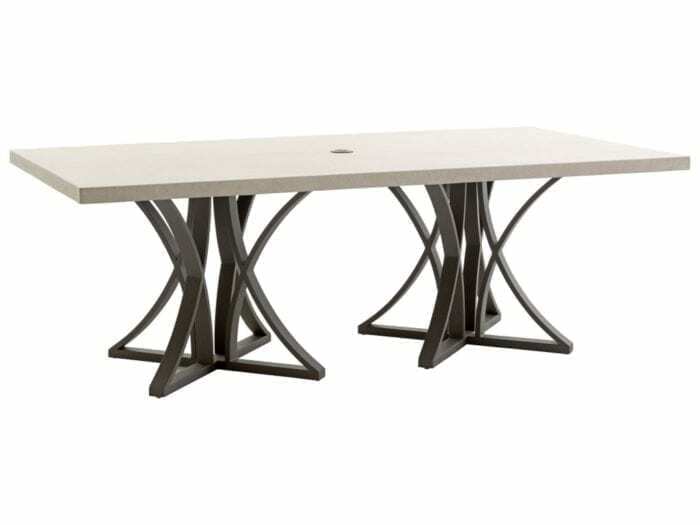 Price includes base & table top.